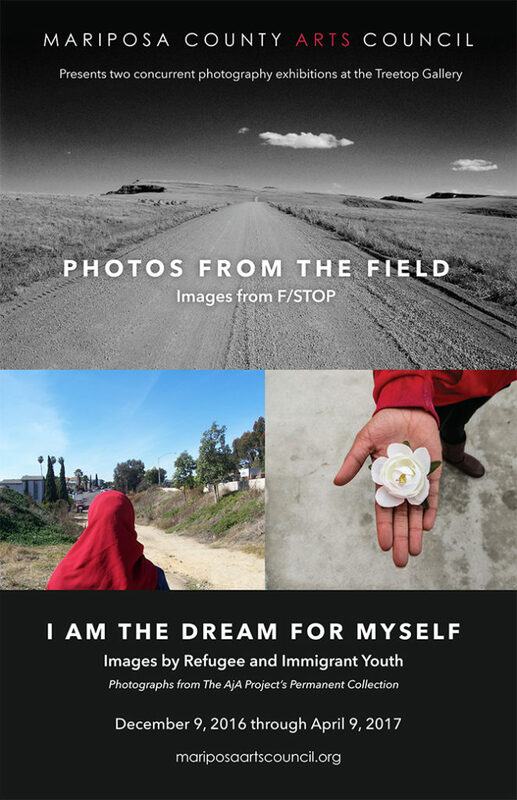 The Arts Council presents two concurrent photography exhibitions at the Treetop Gallery this winter: PHOTOS FROM THE FIELD, Images from F/STOP and I AM THE DREAM FOR MYSELF, Images by Refugee and Immigrant Youth. The opening reception is on December 9, from 4-6pm, 5009 Highway 140, Mariposa, and the exhibition runs from December 9, 2016 to April 9, 2017. To download the F/STOP Gallery Guide, click here. PHOTOS FROM THE FIELD features artwork created in the Arts Council’s F/STOP, a free lifespan learning program for Mariposa residents 55 years of age or older. F/STOP classes focus on the artistic elements of photography and are designed to promote creativity and self-expression. This year, participants met weekly to share their photographs and to develop their own series under the umbrella theme, Nature Photography. On the third meeting, participants traveled to Mirror Lake in Yosemite Valley to photograph. 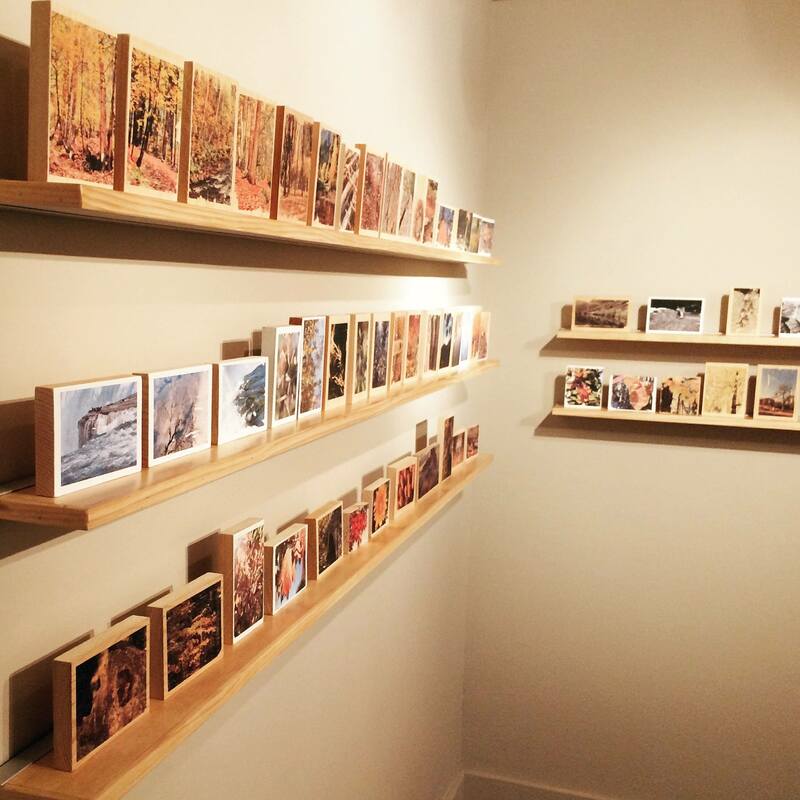 In the two transfer workshops, participants learned the process of applying their photos to wood. Classes are held at three partnering locations in Mariposa County: Mariposa Human Services, John C. Fremont Healthcare District, and Greeley Hill’s Senior Annex. Generous support for F/STOP comes from the California Arts Council’s Local Impact program. To download the gallery guide, click here. I AM THE DREAM FOR MYSELF shares the stories of refugee and immigrant youth through images from the AjA Project’s permanent collection. The AjA Project is a nonprofit organization providing photography-based programming to transform the lives of youth and communities. AjA is an acronym for the phrase, “Autosuficiencia Juntada con Apoyo” which translates to, supporting self-sufficiency. The AjA Project is a 501(c)3 nonprofit organization headquartered in San Diego, California. 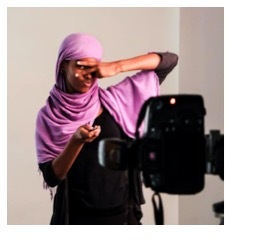 Utilizing participatory photography methods and an assets-based model, AjA’s programs transform youth and communities. Since its founding, AjA has provided long-term, community-based programming for over 2000 individuals, and has shared visual narratives with over 1 million viewers through large-scale public exhibits. AjA believes youth and communities have the ability to change from within. The AjA project exists to ignite change, break cycles of marginalization and to build healthy communities. They do this through a creative platform called participatory photography that asks participants to reflect on and analyze their personal and social landscapes. The young photographers featured in this exhibition resettled, with legal refugee or asylum status, in San Diego between the years of 2003 and 2013. All of them were forced to leave their home country because of violence, war, religious or ethnic persecution, or devastation caused by natural disasters. Several of the youth featured in this exhibition were born in refugee camps in Kenya or Jordan and don’t have memories of their home country. Their childhoods have been defined by personal tragedy, unsafe living conditions, a lack of basic resources (money, food, water, shelter, schooling), instability, uncertainty and unfamiliar situations. Their images and narratives provide us insight into their experiences, expressing: relief, confusion, hopefulness, concern, sadness, and a desire to raise awareness about the unique circumstances in their home countries. The news stories and statistics we hear about war and violence around the world are often hard to comprehend and difficult to absorb. When we do begin to grasp the magnitude of a situation it’s easy to feel overwhelmed and so discouraged we are compelled to turn our attention to other current events. The work in this exhibition helps us distill the impact of war and displacement on the lives of affected individuals, specifically children, while also sharing the relief and opportunities they find in the United States and celebrating the resilience of the human spirit. A refugee is someone who has been forced to flee his or her country because of persecution, war, or violence. A refugee has a well-founded fear of persecution for reasons of race, religion, nationality, political opinion or membership in a particular social group. Most likely, they cannot return home or are afraid to do so. War and ethnic, tribal and religious violence are leading reasons refugees flee their countries. Refugees have been seeking safe haven in North America and Europe for many years but recently the number of individuals who have to fled their home has swell dramatically. In fact, in the past ten years, because of the increasing number and serious nature of failed states, oppressive regimes, international conflicts, and desperate and dangerous situations the number of forcibly displaced people has increased by 300%. In 2015, 65.3 million people qualified as refugees. This means that one in every 113 people in the world have had to leave their home country if they are to save their lives or preserve their freedom. Over half these people are children. Currently, over half of the world’s refugees come from three countries: Syria, Somalia, and Afghanistan. 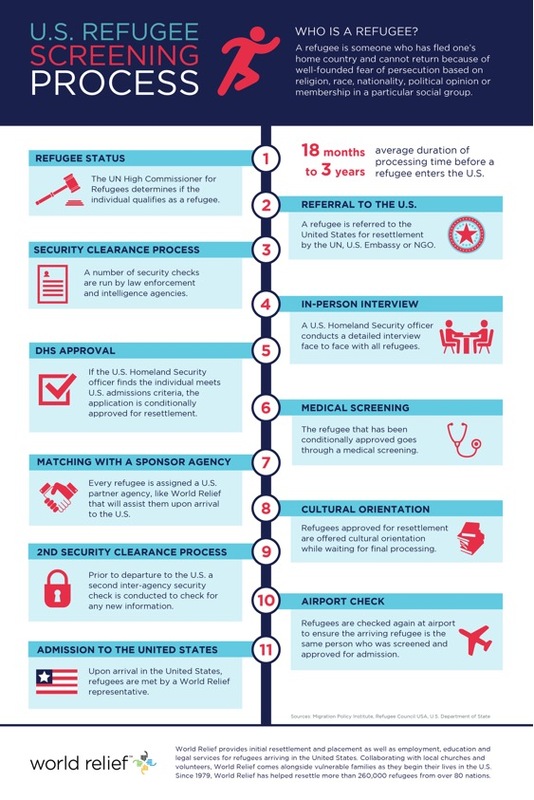 It takes between 18 months and 3 years from the time a refugee leaves their country to the time they may resettle in the United States. In fiscal year 2016, the United States will admit 85,000 refugees from Near East and South Asia, Africa, Europe, and Latin American and the Caribbean. Here in California, San Diego, has the largest populations of resettled refugees in the state, welcoming over 3,000 new refugees a year and will begin to see the first big wave of Syrian refugees within the next year. How does a refugee come to live in the United States? There are many of opportunities to support refugees here in California. The work these organizations do is substantial and your financial support would be greatly appreciated. However, if you are interested in working directly with refugee families, all three of these organizations offer volunteer opportunities.